“The issue of saving resources has become a priority in the country, for each person and every household. 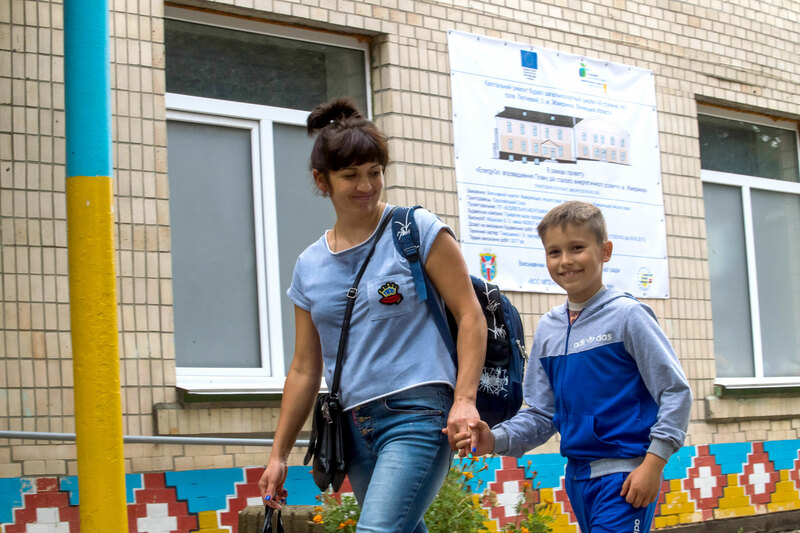 It’s a pity we started to think about this so late.” Vladyslav Morzhenko is a father of two in the town of Zhmerynka in Ukraine, where an EU-funded project has renovated schools and kindergartens for greater energy efficiency. As a result of the work, the town can look forward to savings of more than €80,000 a year, and a cut in CO2 emissions of 243,000 tonnes a year – equivalent to the annual emissions of more than 52,000 cars. The children are warmer, the town saves taxpayer money that can be used elsewhere, and Ukraine and the planet are that little bit cleaner. Sustainable use of energy is a win-win for everyone – individuals, businesses, authorities, all stand to gain from better, more efficient and economical use of energy resources. It goes without saying that the opposite is also true – energy inefficiency is a lose-lose for every individual, for every country, and, ultimately, for the planet. This is the message of Sustainable Energy Week (EUSEW), a series of activities this year culminating on the week of 4-8 June. The movement brings together public authorities, private companies, NGOs and consumers to promote initiatives to save energy and move towards renewables for clean, secure and efficient power. 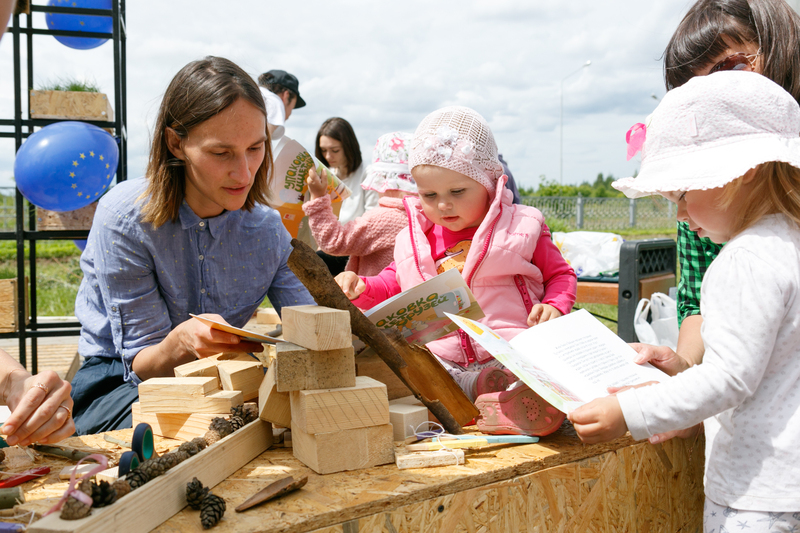 Prominent among the events are ‘Energy Days’ – local activities aimed at raising awareness of energy efficiency and promoting the benefits of renewable energy use. Organised by local public and private organisations in the framework of Sustainable Energy Week, Energy Days show citizens and business why sustainable, secure and clean energy is important. The initiative stretches across Europe, not only in the member states of the European Union, but involving the EU’s neighbours to the East, with organisers invited to register their ‘Energy Day’ events on the Sustainable Energy Week website in order to ensure maximum exposure. 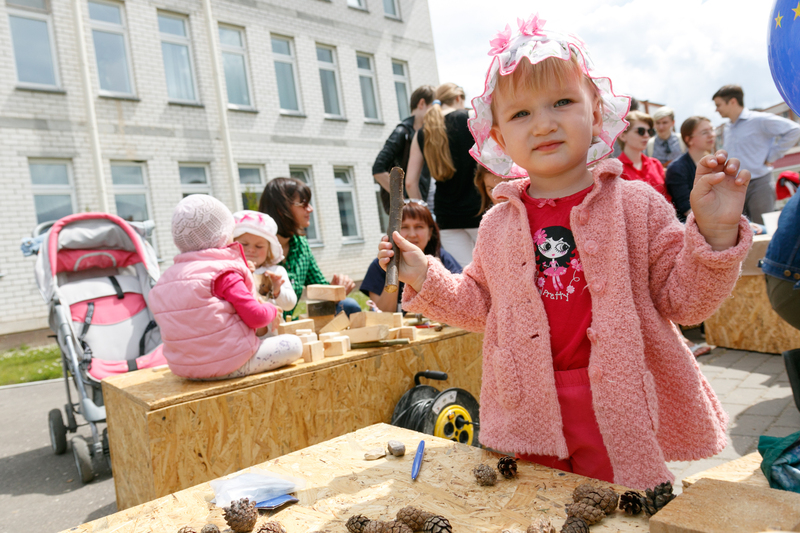 Ukraine alone currently has 24 Energy Day events registered for this year, ranging from children’s events to sports contests, open days and conferences. Every year, the event takes on greater momentum, as the issue rises up the national agenda. Last year, dozens of events took place across the region from Armenia to Moldova. Some were very practical: in Armenia, a series of four capacity building seminars took place in Hrazdan, Masis Vandzor and Gyumri, aimed at representatives of local authorities and focused on energy management and practical measures for energy efficiency. 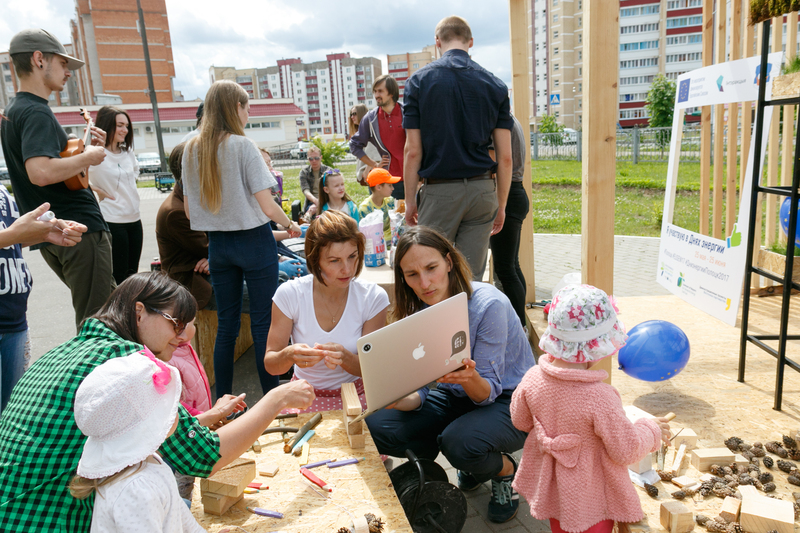 In Belarus, events included a series of innovative public outreach activities across ten cities. 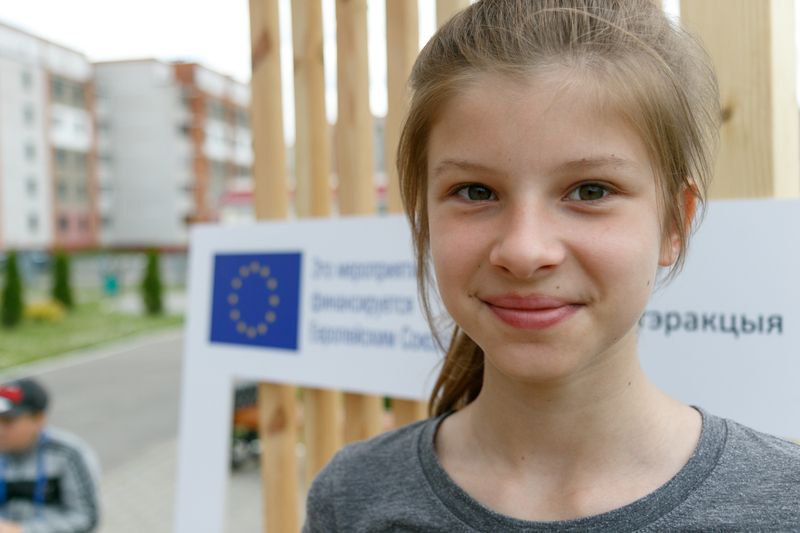 Polotsk, a frontrunner in the energy efficiency drive with EU support, aimed a series of events at children and young people, including an energy quest and online competition on how to save energy, a sporting contest, and a workshop on how to make energy efficient lamps. A group of architecture students also built on eco-friendly pavilion in which films were screened, urging the public to get involved in measures to tackle climate change. 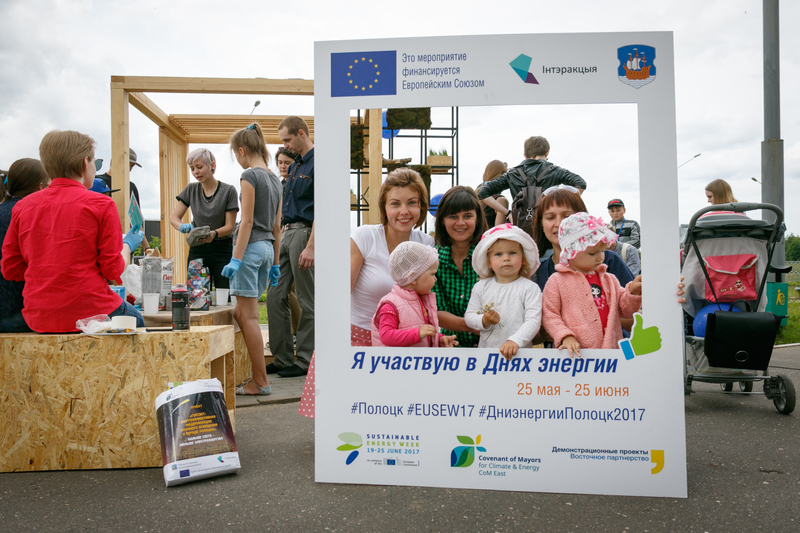 In Ukraine, Sustainable Energy Week last year saw 24 cities signing up to the Covenant of Mayors for Climate and Energy, voluntarily taking on the ambitious commitment to reduce CO2 emissions by at least 30% by 2030, enhance energy efficiency and improve the quality of people’s lives. Ukraine now leads the number of Covenant signatories in the Eastern Partnership region, with 173 signatories – representing more than 15 million inhabitants. Across the Eastern Neighbourhood, 270 towns and cities have joined the Covenant of Mayors, representing almost 23 million people. Through the EU4Energy initiative, the European Union is supporting a wide range of programmes and projects for greater energy security, energy efficiency and greater use of renewables in the Eastern Partnership region. Over the longer term, this makes energy supply more reliable, transparent and affordable, thus reducing energy poverty and energy bills for both citizens and the private sector. European Sustainable Energy Week is raising awareness not just of what is being done, but of the importance of doing more, touching everyone from children to decision-makers, and delivering practical outcomes that save energy and money, and improve quality of life. The events taking place across Europe are an ideal platform for sharing ideas and know-how, for forging alliances to use energy more sustainably, to build a low-carbon economy based on renewables, developing a national and international consensus, across society, on the importance of sustainable energy use.